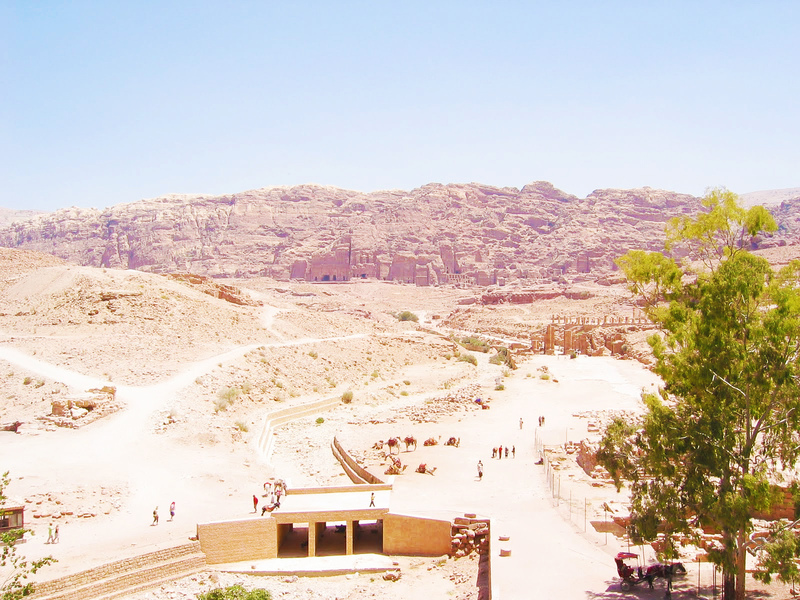 These pictures are from Petra which is an archeological site in Jordan. It’s a 1.5 Km long hike through man made roads of sand and rocks to reach what I feel is a visually stunning man made place. So recently I travelled on business to Amman, in Jordan. While the city itself is primitive, full of lovely people, good quality arabic food and hookah joints at every corner, there are very limited avenues for one day trips. With the limited time available at my disposal for sight-seeing, I chose the option to visit the archeological site of Petra (one of seven wonders of the world). I was told the journey would be a one day drive, and I shall be back early evening. The other option available was a visit to the dead sea, but this I moved to my “must visit with wifey” list. 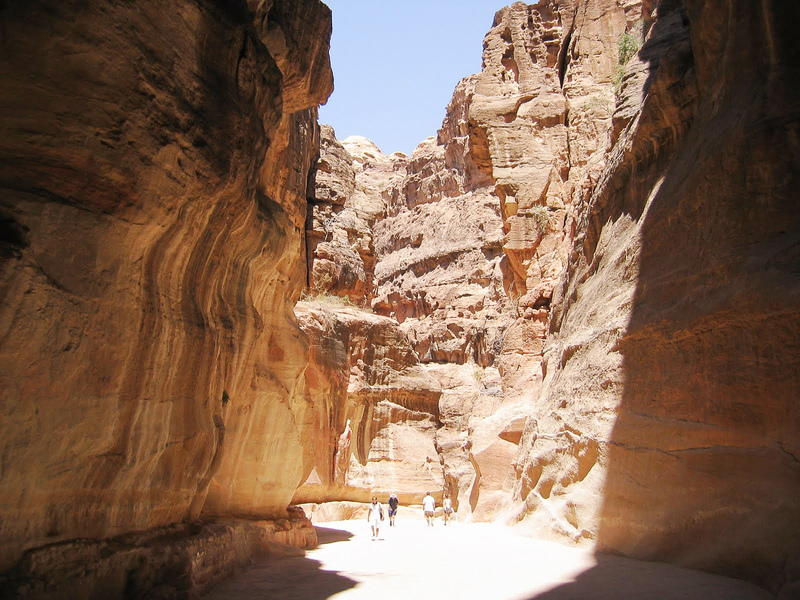 Petra as many know is one of the most visually stunning archeological sites of the ancient world. It is a 1.5 Km long walk in the stony and beautiful mountains, which are visually stunning. The 1.5 km walk which takes about 4 hours, with halts and stops, was really overwhelming. It was a visual treat but also very exhaustive because of the heat. I finished the two bottles of water within 2 hours and was searching hard for more water and a Kufiya. There were small camel rides which were offered by locals, but I refused for want of better pictures. I would walk for ten minutes and then click pictures for the next ten minutes, and suddenly the 1.5 Km stretch seemed like a mammoth distance to cover. With beautifully cut mountains on one side and sparse desserts on the other, walking in jeans and a T-shirt made me realize i had made a mistake while dressing up in the morning as well. Finally I reached the destination, El Dier. Happy to find a lovely luncheon place and a local singer singing arabic songs on his “Buzuq”, I had a sumptuous rogan ghosht with Roti. It was already 2 in the afternoon when I started my return.